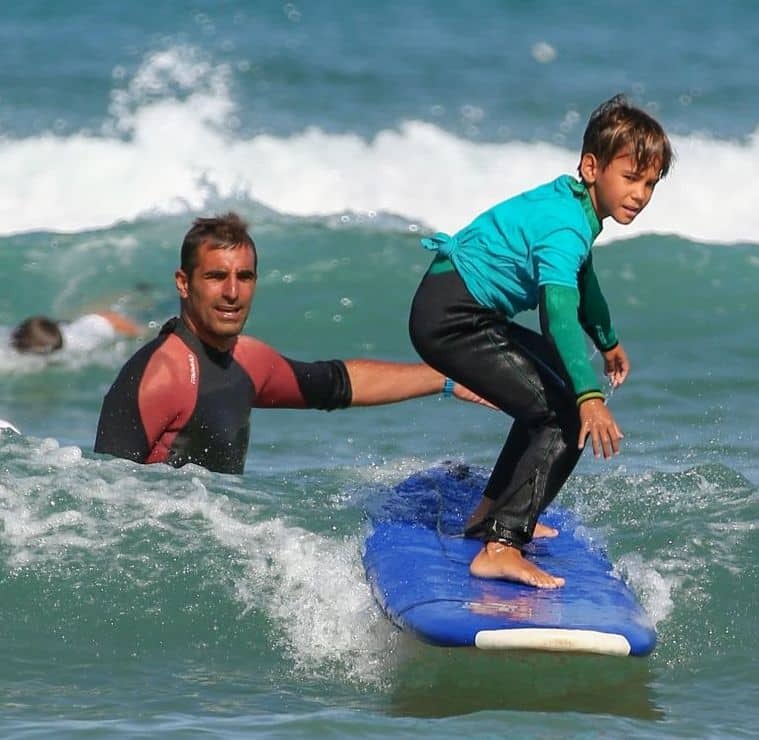 Our surf school is located on the beach of the Basque coast of Biarritz. You don't have to carry very heavy equipment you're directly on the beach! 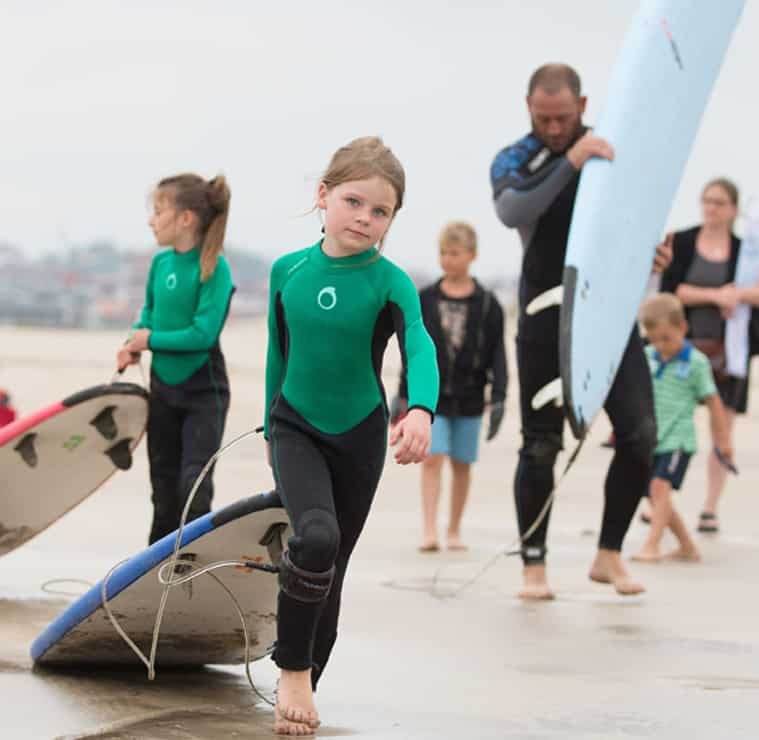 La cote des basques, a surf spot for beginners and intermediates ! more power at 1m50 / 2m, especially if you head south. The islets off the coast of Villa Beltza filter the swell a little, but it is especially a summer spot still practicable in the afternoon. Super popular with surfers from all over the world, surf schools and vacationers, everyone has to leave it when the high tide makes the beach disappear. For nature lovers, we recommend the bike that will allow you to walk around the lake and reach the beach in less than 10 minutes through the woods, without going by road. 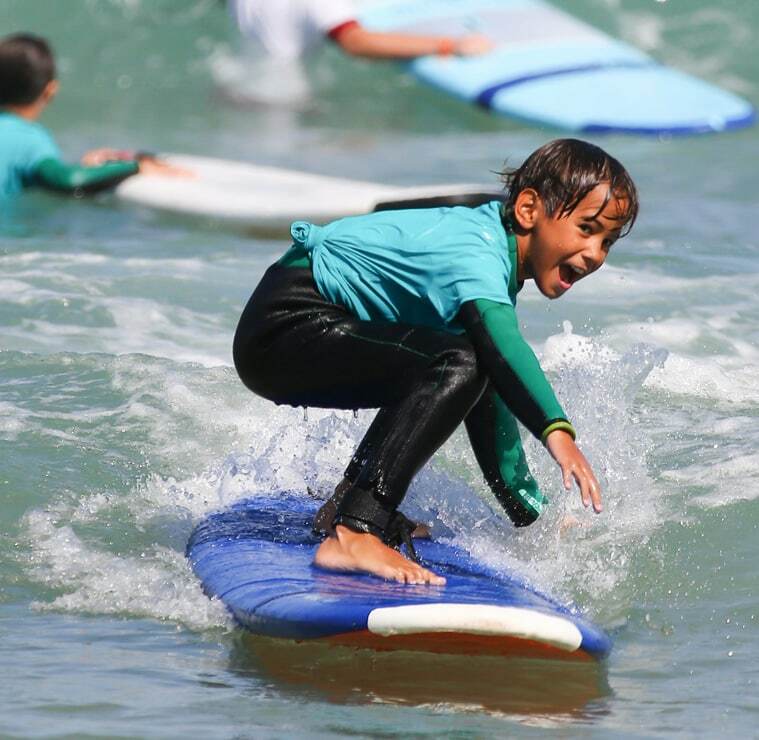 The surf camp will accompany you throughout your holidays to make you discover the magic of surfing on the Basque coast! Ideally located on the beach of the Basque coast, you will enjoy a high quality surfing course and spend 1h30 in the water ! Remember to book in advance because in summer and during school holidays, slots are taken on 7 days and there is no place for last minute bookings. However, we can take the late arrivals by bus and take them 15 minutes away to Bidart! Book now your surfing session on Biarritz la Cote des Basques by paying 50% deposit. Specify the day in the comments, we will call you back a few days before the course (no later than 48 hours) to give you a schedule.